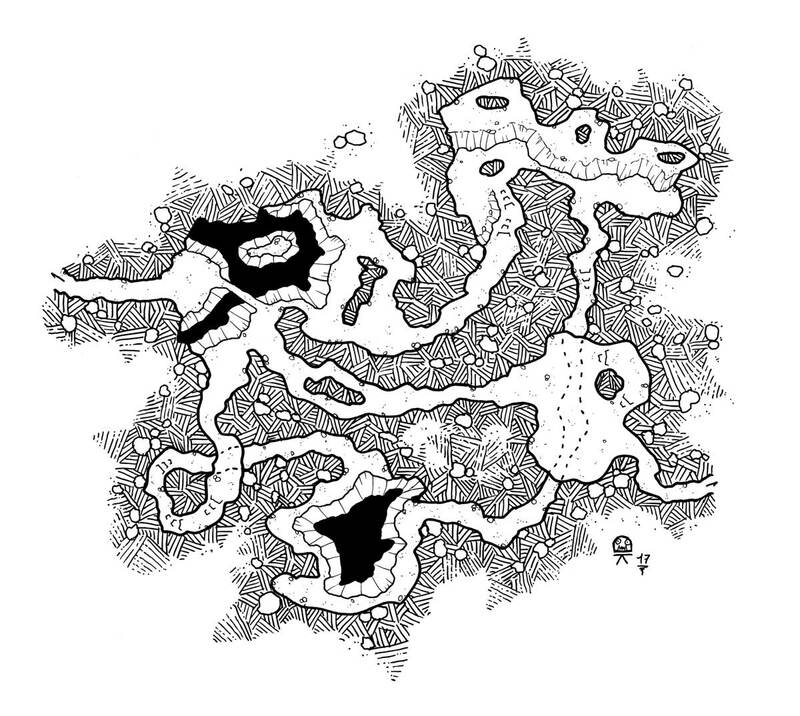 Here is a new level for the Modular Cavern project. I tried a few variations in the crosshatchings but I am not quite satisfied. I will do other tests soon to explore a bit more and have fun with this variation.